Happy Fri-yay! And I’m happy to be kicking off the blog tour for the Big Vintage Sewalong today. 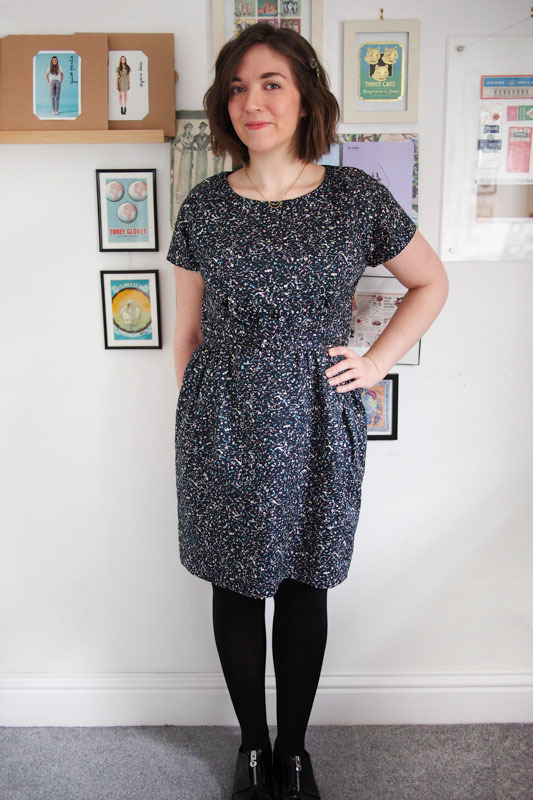 As you may have seen from the official launch last week, this is a year-long event hosted by Butterick Patterns. 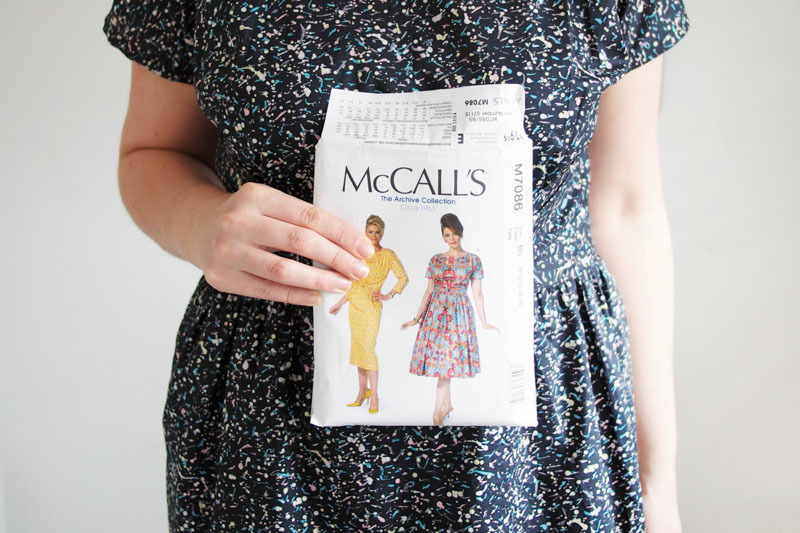 They’ve chosen 20 patterns from the Vintage Vogue, Retro Butterick and McCalls Archive lines and are asking sewists to make one of the patterns, proceeds from the sales of which will go to the Eve Appeal cancer charity. They’ve put together this website where you can read a bit more and pick a pattern to get involved. And they’ve asked some bloggers to get involved to share their picks each month, which is what I’m kicking off today! Now, I don’t consider my everyday style particularly vintage-inspired, but I do love vintage patterns. For one they seem to fit me much better than modern patterns, and they often have all sorts of intriguing design features and interesting construction methods that you don’t see so much of in modern patterns. 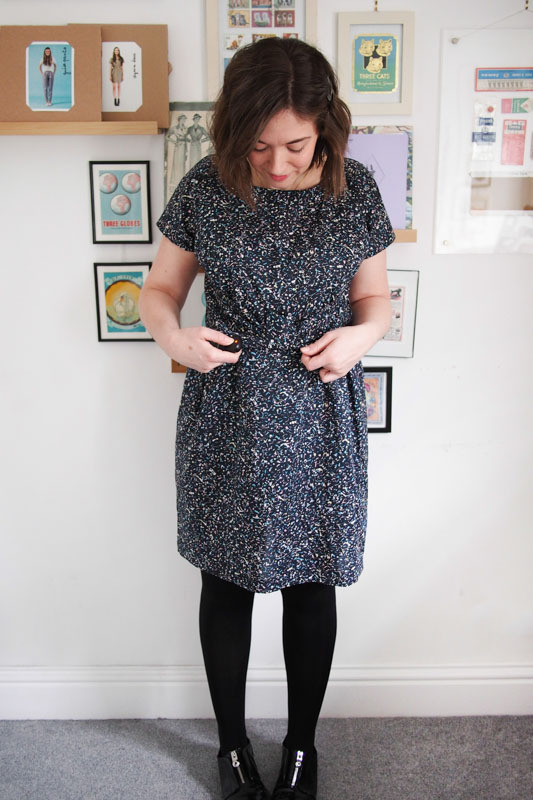 Several of my favourite design details like cut-on sleeves, gathered skirts and button-down fronts also feature heavily in vintage patterns, and I find with small tweaks and careful fabric choice you can make a vintage pattern feel much more contemporary. When choosing my pattern I was really torn between the three above – Vogue 9082, Vogue 9000 and McCall 7086 – because I thought they all had scope for a modern interpretation. I ended up picking M7086, which was originally released in 1961 as M5898. While the pattern is from the early 60s, I think it has both an 80s flavour in the cut-on, almost batwing sleeves, plus a touch of 50s in the bow and skirt options. 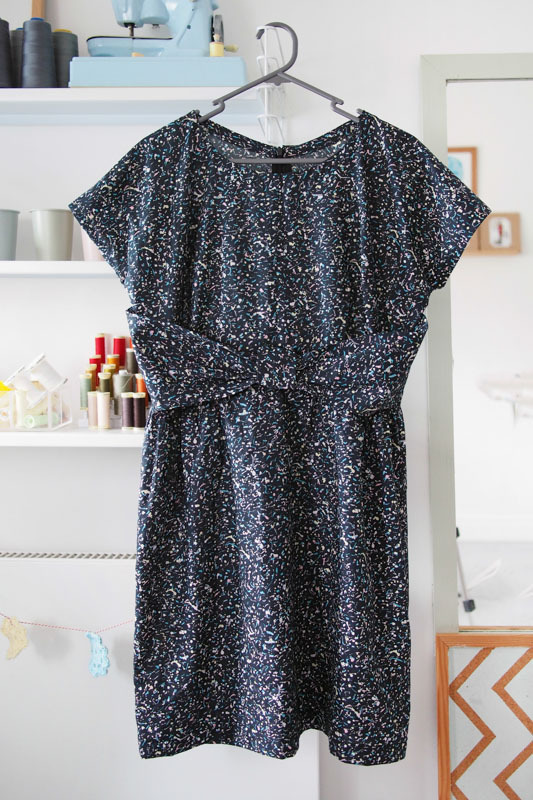 Importantly for me, it’s also casual and comfortable enough to be everyday-wearable, hurrah! I forwent a toile and altered the fit as I went. I needed to remove some width from the back neckline and make the sleeves shorter, but otherwise it’s pretty good. The bodice is only supposed to be semi-fitted and there’s quite a lot of excess fabric under the arms by design, so I didn’t want to over-fit it. I cut the skirt about halfway in between the full and narrow options. 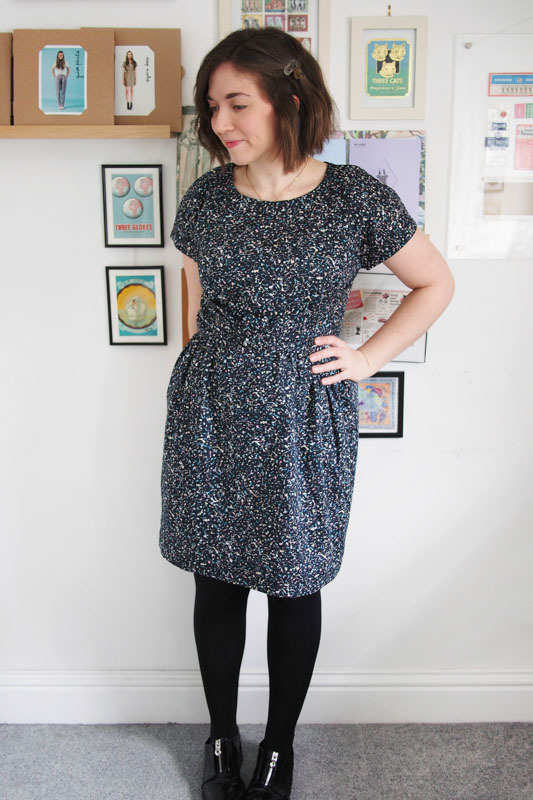 I really like how the centre part of the skirt is left ungathered, it creates a pretty and flattering shape. My fabric choice kind of camouflages the bow: it looks insanely huge on the hanger, but it’s pretty subtle when worn! I stuck with the 80s theme with this new season Liberty tana lawn called Dot. 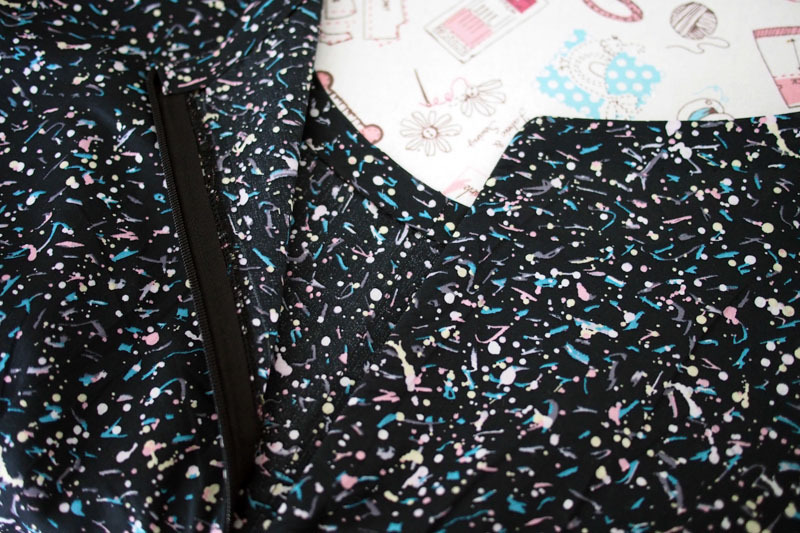 I picked it so the pattern would turn out more modern and less twee, though I do think it would be particularly effective sewn in a paler or solid fabric so you can see the detailing better. It was a fun and simple to sew overall, although I found I had to apply common sense rather than follow the instructions directly at times. 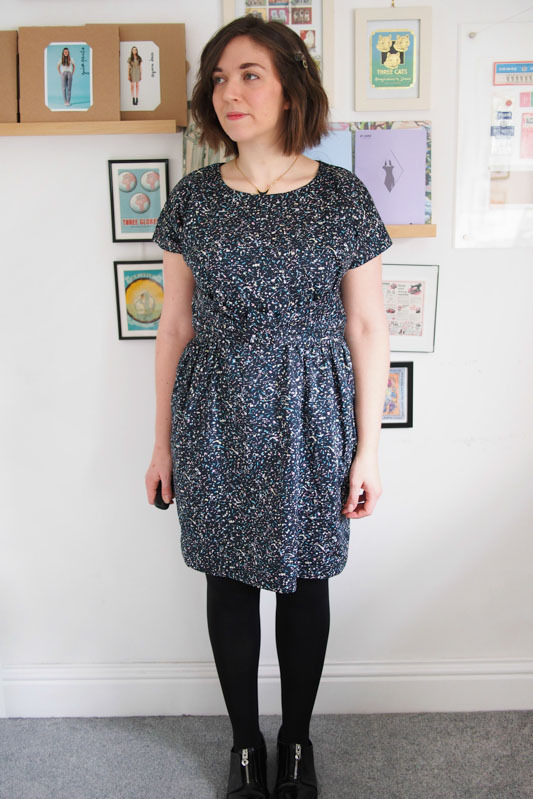 I altered the construction to my preferences a bit too, using a bias strip to finish the neckline and narrowing-hemming the sleeves instead of the suggested facings. I’m proud of the centre back invisible zip – it’s truly invisible! I’m glad a rare foray into vintage turned out successfully for me. 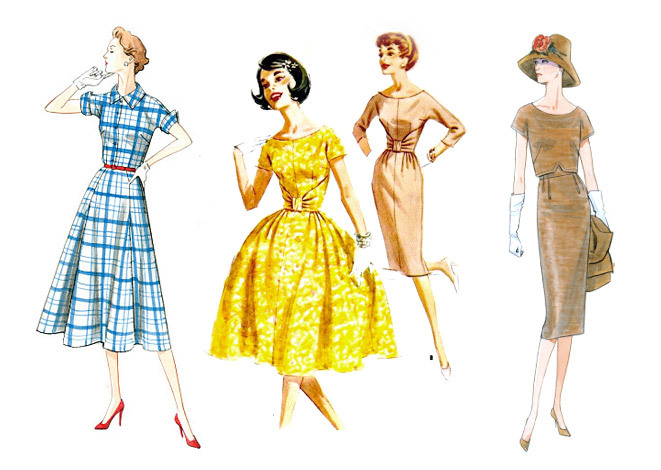 I’m inspired to dig out and sew some of the other vintage patterns I’ve got stashed away next. 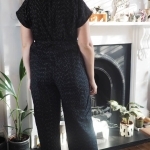 And remember every month until October there’ll be bloggers sewing up some of the Vintage Sewalong selection, so hopefully there’ll be inspiration abound to pick up one of the patterns and get involved. I’m definitely looking forward to seeing which patterns everyone else picked. Butterick kindly provided the pattern and fabric allowance for my dress, but I paid it forward and donated to Eve Appeal too of course. Ooh, I have that pattern too! A great take on it, Katie! The fabric is a great choice as well, even though (or because?) it tones down the details with its pattern. I have to say, I couldn’t quite believe my eyes when I first saw the word “vintage” in the post title. I had the impression you didn’t really like “modern vintage” sewing. I really like what you did with this pattern. Vintage or not, you really made it your own. Ha ha, thanks. I do love the idea of vintage, I just think it either takes a commitment to the ‘look’ or a twist to make it look modern. I Love this dress! Your fabric choice gives it a modern feel and the shape is really flattering on you. 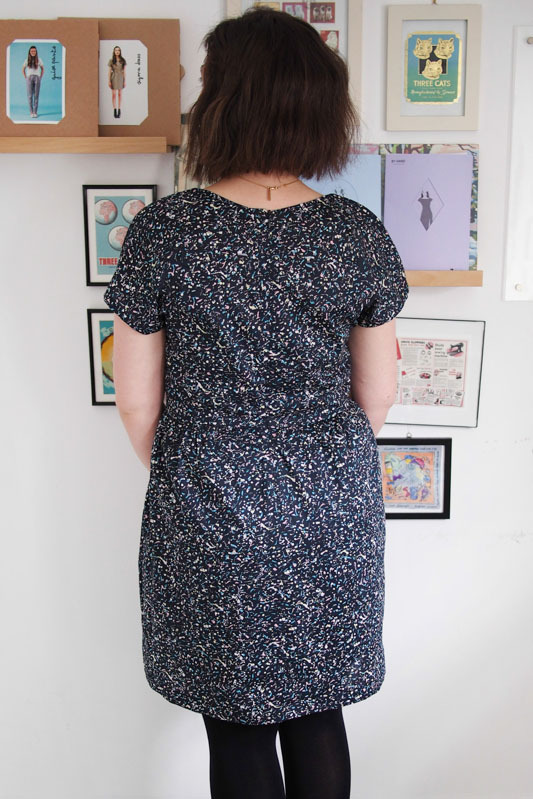 I made a vintage pattern recently with cut-on sleeves and I agree it’s a great design feature, they look good and you get to avoid setting in sleeves. Thanks! Absolutely, easier to sew and more comfortable, what’s not to love. I love how you’ve ‘owned’ this, Katie and that fabric is gorgeous. Oh how I wish I was vintage proportions! I’d be making one a week! Thanks, it was a fun one! Gorgeous! Perfect mix of pattern and fabric! I’ve been drawn to a lot of vintage separates lately…. I really want the Vogue 9082 above, the crop top thing with a triangle cutout at the hem is so cool. Very cool! 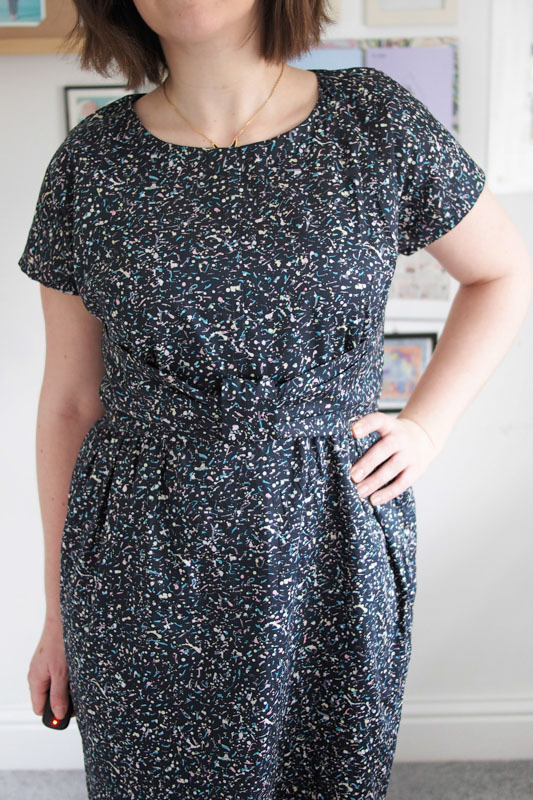 I love how modern you’ve made this vintage pattern look! That fabric is perfect! I never would have guessed that you used a vintage pattern for this as it looks so much like your usual style! Great job making this your own!